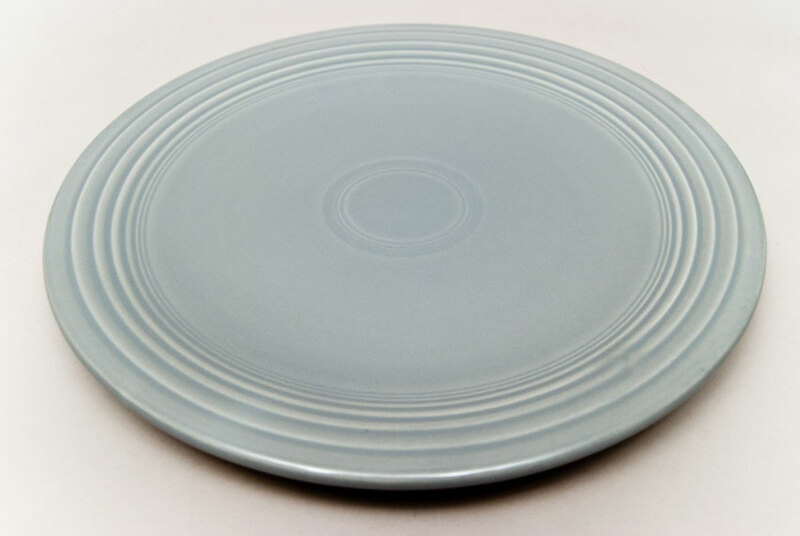 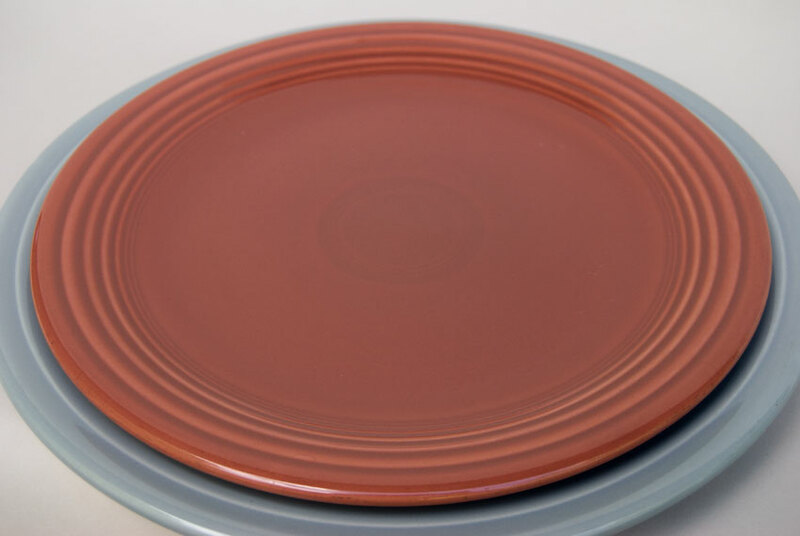 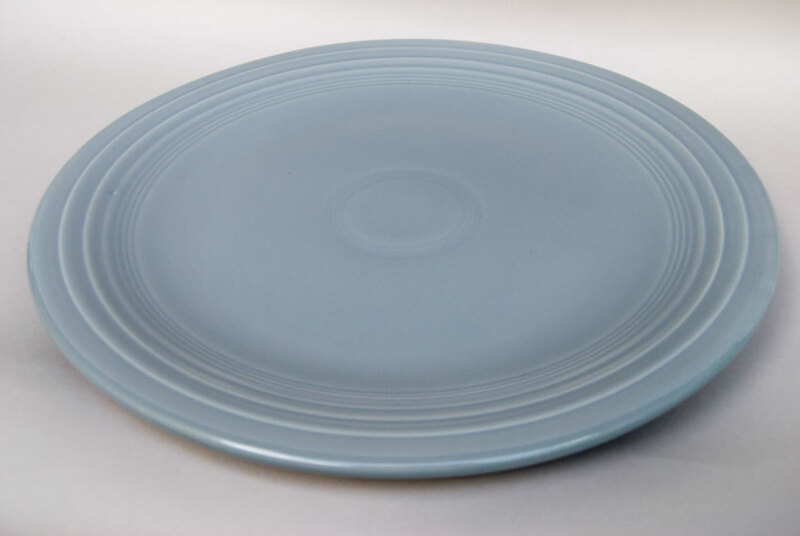 Circa 1951-1959: Vintage 50s fiesta color, original gray glaze, on this nice large 15" chop plate. Great surface and ink-stamped under the glaze on the back. 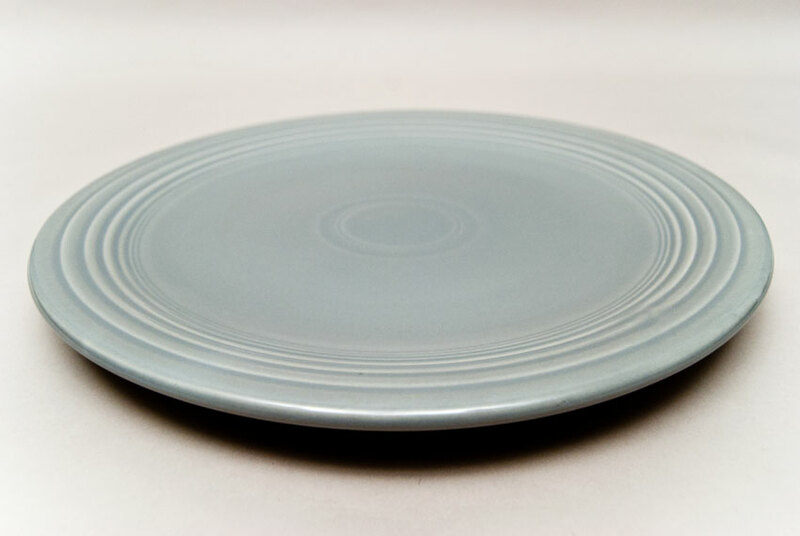 The large chop plate was too heavy to be jiggered on the automatic machines and even up until the end of production in the late 50s they were hand jiggered and tooled individually, making them a much more labor intensive piece to produce. This example boasts great surface and is in wonderful condition. 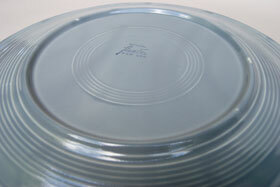 Measures 14 1/4" w x 1 1/2" h.